Simple and effective eyelid warming for blepharitis and meibomian gland dysfunction. One of the main problems in eyelid inflammation is solidification of the secretions in the meibomian glands. Eyelid warming renders the secretions liquid and promotes the blood circulation in the edges of the eyelids. It is therefore an extremely important part of restoring the function of the meibomian glands. Eyelid warming is only effective if a warm, moist environment is maintained at a constant temperature of around 45 degrees over a period of 5–7 minutes. 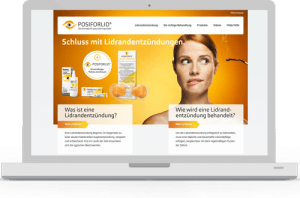 The POSIFORLID® eye mask is a self-warming eye mask which is particularly good at meeting these requirements and can be used approximately 90 times. softens the secretions in the meibomian glands. self-heating, i.e. no tiresome warming or boiling necessary before use. The eyelid warming should be carried out twice a day. 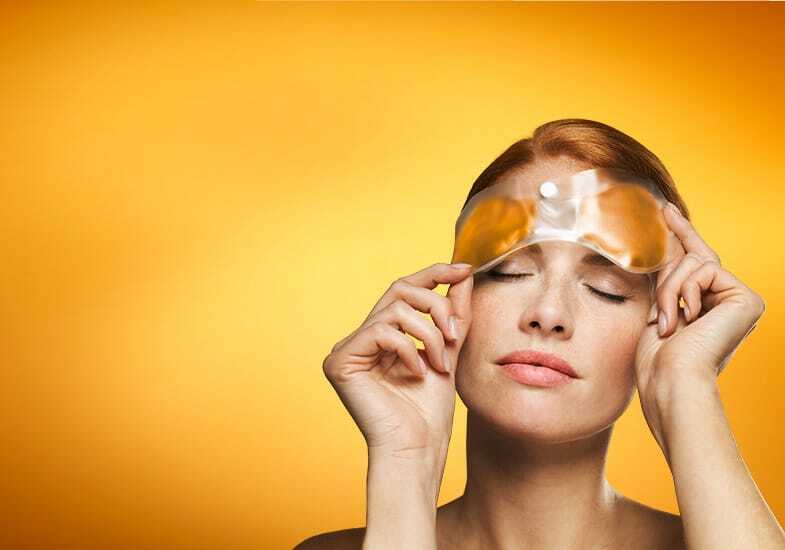 Regular use of the POSIFORLID® eye mask brings rapid and sustained relief while you relax.